Is legal online poker coming to New York? As New Jersey continues to attract New York gamblers in record numbers to hotels and cafes, just to play online poker, New York State might be getting ready to strike back and get a piece of the action. Since November 2013, online poker and casino gambling has been regulated in New Jersey. That means state-licensed casinos, mainly based in Atlantic City, are able to operate online properties. 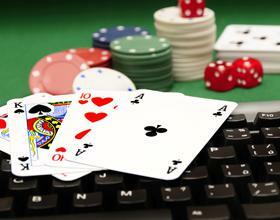 Only players within New Jersey borders can access the online poker sites and casinos. The sites use geolocation technology to verify a player’s location before allowing them to play. You don’t need to be a resident of New Jersey to play. You just need to physically be in the state. Over the past few months, poker players have been flocking to New Jersey at night to play in tournaments. But a new bill introduced on the New York State Senate floor could change that. Bill S6913, if passed, would license up to 10 gaming providers in the state. While casinos wouldn’t be able to apply (the bill only regulates online poker), poker companies would be welcome with open arms. Actually, scratch that. Open arms might be the wrong term. That’s because the gambling bill includes a bad actors clause, which would bar poker companies like Poker Stars and Full Tilt from offering games because they continued to offer games to US players after December 31, 2006. With so many states legalizing online poker and gambling, the federal government should really consider stepping up and regulating the industry across the board. It makes no sense that casino gambling is offered in some regulated markets but not others. For example, New Jersey offers games of chance, but Nevada and Delaware only offer online poker games. We’d love to see some more consistency in the market, but that’s just because we like to see casino fans treated fairly and not get discriminated based on where they live. Remember, Palace of Chance is open to players all over the world, so if you don’t want to wait for a bunch of bureaucrats to make a decision, we’re ready to serve you.